In the early years of the sixteenth century, the Church experienced a dramatic shift in its moral perception of the practice of usury. Leaders of the continental Protestant Reformation (Lutheran, Calvinist, and Anabaptist) all grappled with the Roman Catholic Church's moral teaching on the practice of lending money at interest. Although these three theological streams addressed the same moral problem, at relatively the same time, they each responded differently. 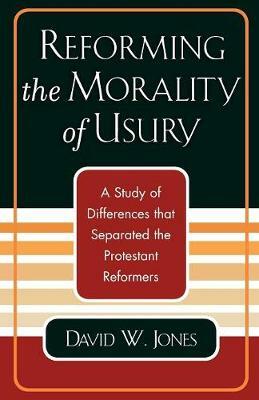 Reforming the Morality of Usury examines how the leaders of each major stream in the continental Protestant Reformation adopted a different approach to reforming moral teaching on the practice of usury.